Dr. Cooper regularly appears on King 5 News, which airs every other Friday evening at 4:15pm on Channel 5. The program is focused on health, wellness, metabolism and exercise. 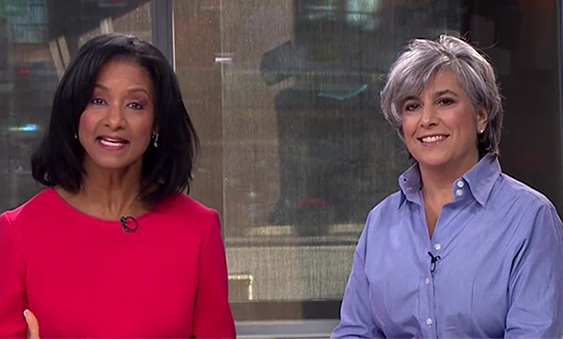 Local King 5 morning news: 100+ segments featuring metabolism, including 13 patient stories. See our media library to view past episodes. Coast to Coast AM (national): Obesity and Diabetes as a Disease, Not a Behavioral Problem. Fox sports news Health talk (IRG): 6 local radio segments featuring metabolism. Outside Magazine: Crushing It: How Over-Training Can Erode Your Body. Outside Magazine: If You Are Not Eating Enough, You Might Gain Weight. Huffington Post: Changing My Metabolism. Huffington Post: How Early-Morning Eating Changed My Training. The Falcon: (SPU student news): Panel Discusses Harms of Eating Disorders, Dieting Fads. Seattle Rotary: Why Diets are not the Big Answer. Seattle Pacific University: Metabolic Impact of Dieting and Eating Disorders (NEDA Week). American Diabetes Association Expo: Diabetes & Metabolism. Obesity in America: Partnership to Fight Chronic Disease. Completed MC4R mutation screening: Genetic screening of 200 individuals for heterozygous MC4R mutation for Rhythm Metabolic, Inc.
Investigator-initiated research: Collaboration with University of Minnesota, Post RYGB Hypoglycemia Study in process. Ongoing Collaboration with Inter Science Institute: to develop new additional clinical test options and explore clinical utility for patients with Diabesity.